Mission Northeast exists to serve local churches, assisting them to accomplish their God-given mission to make disciples of all nations. 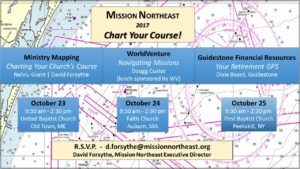 In these meetings, you, your staff, and leadership will learn how Ministry Mapping can help your church chart a course to health and ministry effectiveness. Pastor Nehru Grant will share the story of Living Hope Christian Church and how God used Ministry Mapping process to help their church gain clarity of purpose (mission) and direction (vision). 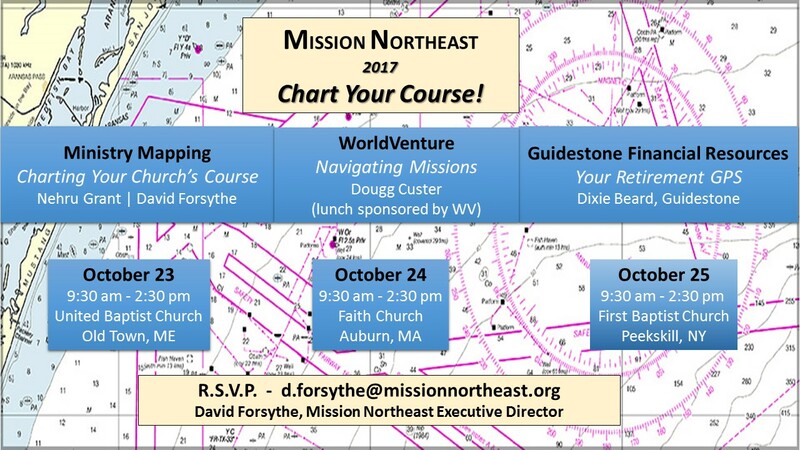 Additionally, Dougg Custer from WorldVenture will share how world missions can support your church’s mission and vision. Please register for the location you will attend.